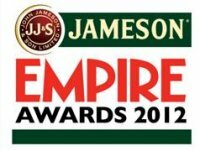 Further to Gary Oldman’s deserving win, British actors continued to lead the awards with Olivia Colman winning Best Actress for her role in Paddy Considine’s Tyrannosaur, Michael Fassbender won the Empire Hero award and two of Britain’s rising stars won Best Newcomer - Tom Hiddleston for Thor and Felicity Jones for Like Crazy. Tim Burton was honoured with the Empire Legend award. Steven Spielberg’s The Adventures Of Tintin: The Secret Of The Unicorn shook off competition from Hugo, Harry Potter, Transformers and Thor to win The Art of 3D awardand Ron Howard was honoured with the Empire Inspiration award.